Co-founders Frank Guerrieri and Jody Guerrieri, RN, are experts in senior care. Their commitment to caring for people in need has been the driving force behind their gold-standard services for over a quarter of a century. At Preferred Care at Home, we recruit caregivers who are well-experienced in home care, and we work to match perfectly the needs of our clients with the abilities of our caregivers. But we’re also ever-mindful of your finances. Our motto is “quality services at affordable prices.” We promise! 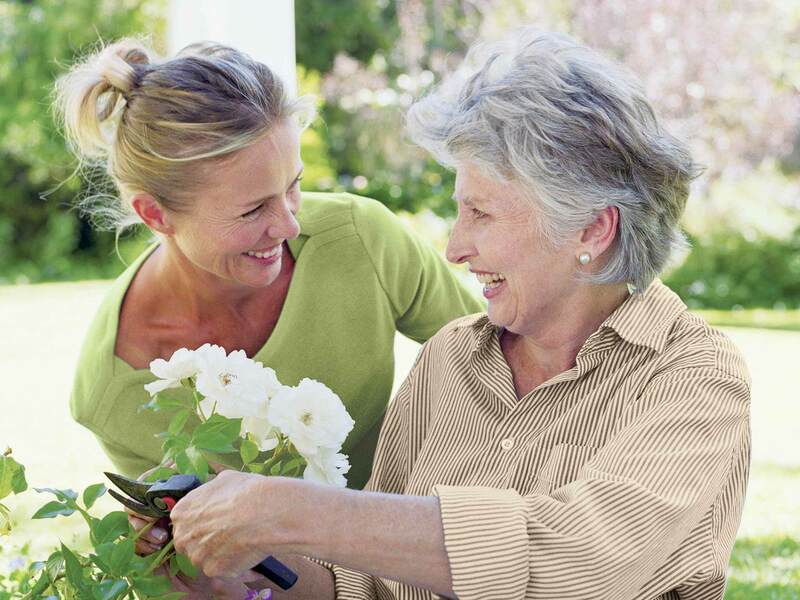 Our in-home care services are about restoring dignity and independence. They’re about allowing us to be the caregivers so family members can be the husbands, wives, sons or daughters again. We believe this peace of mind is priceless. If you’re unsure whether home is the right place for you or someone you know, don’t worry. We have a compassionate, listening ear just a phone call away to discuss all of your options. If home is the right fit, we’ll do everything we can to make the wish to remain there become a reality. Why Choose Preferred Care at Home? A singular focus: private home care. No sales gimmicks for other products we’re selling. No assisted-living gimmicks in which we get cuts for referrals. Developed Senior Resource Panels—meetings where you can connect for free with senior-care experts in your community. Offer our in-depth, 15-section Personal Health Record for free, to help improve communication with health-care providers and family caregivers. Combat ageism through our complimentary book, Anything Is Possible!, which celebrates life, dignity and independence. Record and share your life stories. Strive to keep our 24-hour in-home care affordable so more people can stay out of assisted living and nursing homes. Preferred Care at Home is dedicated to providing reliable, compassionate and affordable care. Our services improve quality of life while safeguarding independence and dignity in the home or wherever our clients call home. Contact us day or night. If you need someone to talk to you about your concerns and needs, Preferred Care at Home is here for you. We truly care, and together we will find a solution.